The next question is, Whether a minister should be chosen by the whole Church, or only by colleagues and elders, who have the charge of discipline; or whether they may be appointed by the authority of one individual? Those who attribute this right to one individual quote the words of Paul to Titus “For this cause left I thee in Crete, that thou shouldest set in order the things that are wanting, and ordain elders in every city” (Titus 1:5); and also to Timothy, “Lay hands suddenly on no man” (l Tim. 5:22). But they are mistaken if they suppose that Timothy so reigned at Ephesus, and Titus in Crete, as to dispose of all things at their own pleasure. They only presided by previously giving good and salutary counsels to the people, not by doing alone whatever pleased them, while all others were excluded. Lest this should seem to be a fiction of mine, I will make it plain by a similar example. Luke relates that Barnabas and Paul ordained elders throughout the churches, but he at the same time marks the plan or mode when he says that it was done by suffrage. The words are, Χειροτονήσαντες πρεσβυτέρους κατ᾽ ἐκκλησίαν (Acts 14:23). They therefore selected (creabant) two; but the whole body, as was the custom of the Greeks in elections, declared by a show of hands which of the two they wished to have. Thus it is not uncommon for Roman historians to say, that the consul who held the comitia elected the new magistrates, for no other reason but because he received the suffrages, and presided over the people at the election. Certainly it is not credible that Paul conceded more to Timothy and Titus than he assumed to himself. Now we see that his custom was to appoint bishops by the suffrages of the people. We must therefore interpret the above passages, so as not to infringe on the common right and liberty of the Church. Rightly, therefore, does Cyprian contend for it as of divine authority, that the priest be chosen in presence of the people, before the eyes of all, and be approved as worthy and fit by public judgment and testimony, (Cyprian, Lib. 1 Ep. 3). Indeed, we see that by the command of the Lord, the practice in electing the Levitical priests was to bring them forward in view of the people before consecration. Nor is Matthias enrolled among the number of the apostles, nor are the seven deacons elected in any other way, than at the sight and approval of the people (Acts 6:2). “Those examples,” says Cyprian, “show that the ordination of a priest behoved not to take place, unless under the consciousness of the people assisting, so that ordination was just and legitimate which was vouched by the testimony of all.” We see, then, that ministers are legitimately called according to the word of God, when those who may have seemed fit are elected on the consent and approbation of the people. Other pastors, however, ought to preside over the election, lest any error should be committed by the general body either through levity, or bad passion, or tumult. 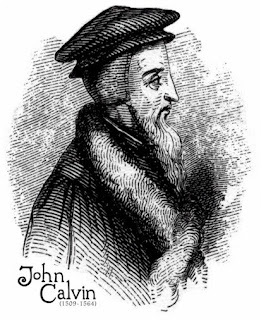 Analysis: Beyond the divine call, Calvin now asks about the human call (means) of men to ministry. According to Calvin, ministers should not be appointed by one minister, or by a group of elders, but by the body at large. In this sense, Calvin seems to argue for a kind of congregational church government in election of officers.